The schedule/results for the 2019 Northern Lights 18’s Qualifier (January 2019) can be found by clicking here. 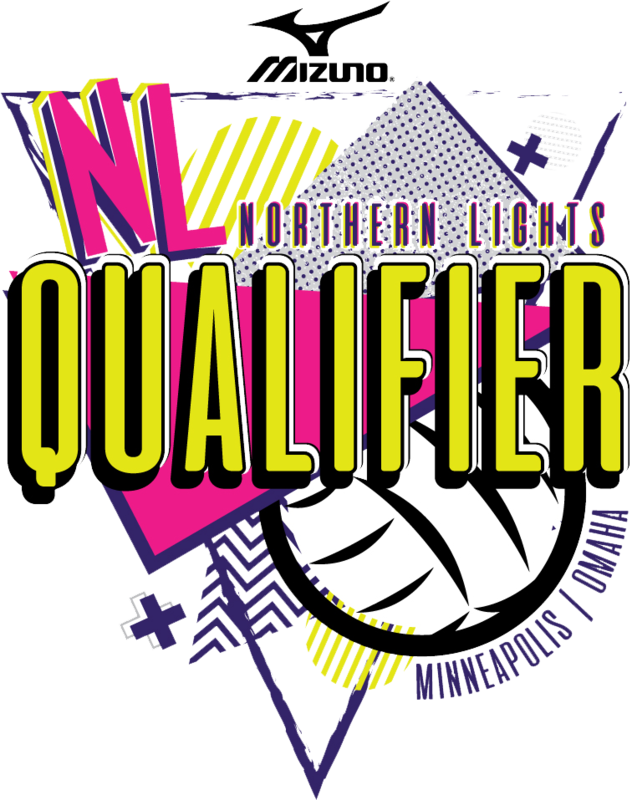 The schedule/results for the 2018 Northern Lights Qualifier can be found by clicking here. 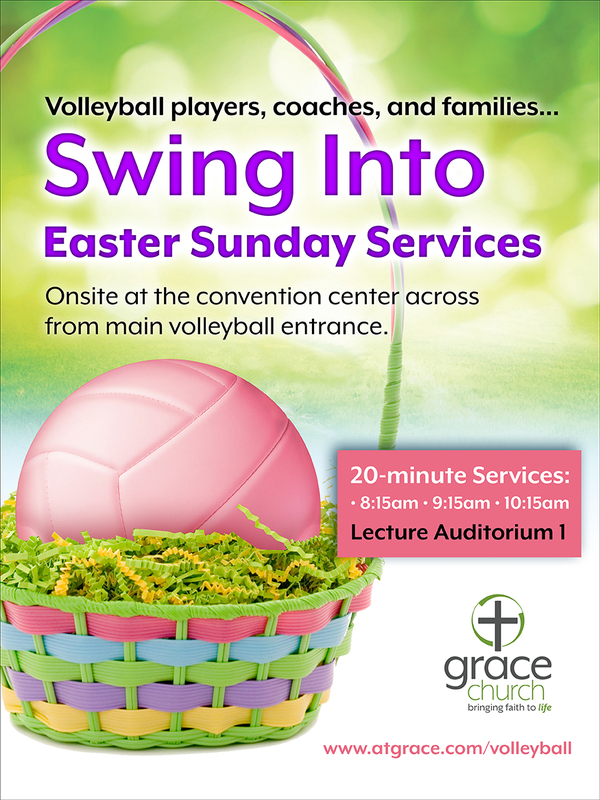 Short Non Denominational Easter services will be held at the Minneapolis Convention Center on Easter Sunday morning April 21. Click here for further information. Weekend passes (April event) will be made available for purchase online on April 1, 2019. Information about online sales can be found by clicking here. We strongly advise you to purchase your ticket now to avoid the long lines at the Convention Center. Yes, in 2019 all 18’s Divisions will be run on January 11-13. Now in its 2nd year in Omaha, the Northern Lights 18’s National Qualifier will be one of the earliest 18’s National Qualifier that can get you a bid into the 2019 USJNC’s for 18’s. For those 18’s teams not attending the USJNC 18’s tournament at the end of April, we will be offering a Non Qualifying Division called the 18 Elite Division on April 26-28. This division will also be open to teams from Canada who normally have not been able to participate in the NL Qualifier. Complete information and final Division splits will be posted on this website by October 1. List of College Coaches for the January Event! The list of College Coaches who registered for the 18’s Qualifier in January 2019 can be found here. List of College Coaches for the April Event! The list of College Coaches who registered for the 2019 April event can be found below. If you have a player with a great voice that would like to sing the National Anthem on one of the days, we would love to have them. Please have that player submit an audio recording, or a video of themselves signing the National Anthem by Tuesday April 16. It may either be submitted as a link to an online video, or attached as a file and sent to our office manager Barbara via email northernlights@midwestvolleyball.com. You may also contact Barbara in our office via phone, 952-808-0110. Your Club/team could be eligible to Pre-Book in the highest demand hotels, and also receive free hotel rooms! For complete information on how to get in on this great deal, visit our Loyal Customer Rewards Program page. For teams participating in our Loyal Customer Rewards Program, applications will be accepted from October 9 starting at 10:00am Eastern time and closing on October 11 at 3:00pm Eastern time. There is no Loyalty Program for the 18’s Qualifier in January. Hotel reservations for that event will open on October 23 at 10:00am Eastern time. The link to that is below. To obtain an application for the Loyalty Program, your team must be registered and paid for the tournament. Once you have completed registering and paying for the tournament, you will receive an email approximately 20 minutes later with a link to the Loyalty Program Application. Registration for the Tournament will open on October 1. Hotel reservations for teams not participating in the Loyal Customer Rewards Program and for the 18’s Qualifier in January will open on October 23 at 10:00am Eastern time. Please be advised that before you will be able to make hotel reservations, you must be registered for the tournament and your entry fee received by our office. For other general information on our hotels, visit our hotel page. This document contains a summary of the information you will need to know to enter the Northern Lights Qualifier. A complete set of rules and procedures governing all qualifiers are found on the USAV site in the Qualifier Manual. All coaches are responsible for the information contained in both this document and the Qualifier Manual. For a quick summary of how to enter the tournament view our Qualifier Checklist. More detailed instructions are below. Registration will open on October 1, 2018 at 9:00 am Central Time. Read this entire information page. Go to the website TM2Sign.com and register for the event. Either “Pay Online” or mail us the entry form and a check (see below for further details). Register for your hotel rooms in an approved tournament hotel. Note: before you will be permitted to reserve hotel rooms you must be registered for the tournament and we must have received the full entry fee. The registration deadline for us receiving the Application for Entry, the entry fee, and meeting the Stay to Play requirement (see below) is December 11, 2018 3:00PM Central time for the January event having 18 Open, 18 USA and 18 American. The deadline for the April event (all other ages) is March 8, 2019 by 3:00 PM Central time. All entries received after these dates/times will be considered on a space available basis. Please be advised that last year many divisions filled and were closed 1-2 months prior to the official deadline. Northern Lights is using the Stay and Play Policy. Click here to view this policy. For 2019 the Divisions remain the same. Open, USA, and American. However 18 Open, 18 USA, and 18 American will be run in January, and all other divisions will be run in April. The Open Division is for those teams wishing to qualify for the Open Division at Nationals. The USA/American Divisions are for those teams wishing to qualify for the USA and/or American Division at Nationals and for those teams not wishing to attend Nationals. Open is the higher and more competitive division. USA is the 2nd highest level at the Qualifiers. New teams who have never competed before at the National Championships should select the American Division. For further information on the USA and American Divisions, read the Qualifier Manual or contact your Regional Commissioner. The 11’s will have only one division named the 11 National Division. If the registration for this division is below 8 teams, there will be no bid given, and all of the 11’s teams will be combined into the 12 American Division. There is no 11 American Division at the National Qualifiers or at the JNC’s. The 12’s will have two divisions at all National Qualifiers provided they each have a minimum of 8 teams. They are 12 National and 12 American. If there are less than 8 teams in either division they will be combined into only a 12 National Division. There is no 12 USA Division at the National Qualifiers or at the JNC’s. The number of bids to Nationals for any of the Open Divisions is dependent on the number of teams in that division. This year in the Open Division bids will trickle down as specified in the Qualifier Manual. The table below shows the bid allocations for each of the Open age divisions based on the number of teams entered in that division. This chart is based on the proposed 2017-18 Qualifier Manual. If one or more teams wins a bid award position at a NQ and previously earned an Open bid at another NQ, the bid(s) can trickle-down to the next highest finishing team, provided the next highest finishing team finished no lower than 8th place in the tournament. The number of bids to Nationals for any of the USA Divisions is dependent on the number of teams in that division. USA Division bids will trickle down as specified in the Qualifier Manual. The table below shows the bid allocations for each of the USA age divisions based on the number of teams entered in that division. These numbers may increase after re-allocation. This chart is based on the proposed 2017-18 Qualifier Manual. In general, USA Division bids will trickle down with the lowest possible finish able to accept a bid being a team that finishes no lower than 8th. In the event that any team qualifies in more than one qualifier, the bid will be reallocated per the Qualifier Manual. The number of bids to Nationals for any of the American Divisions is dependent on the number of teams in that division. American Division bids will trickle down as specified in the Qualifier Manual. The table below shows the bid allocations for each of the American age divisions based on the number of teams entered in that division. This chart is based on the proposed 2017-18 Qualifier Manual. In general, American Division bids will trickle down with the lowest possible finish able to accept a bid being the a team that finishes no lower than 8th. In the event that any team qualifies in more than one qualifier, the bid will be reallocated per the Qualifier Manual. There are serious consequences for teams who reject a bid, these are specified in the Qualifier Manual. For all age divisions (excluding 18 Open), if an Open team that wins a bid or a USA/American/National team that accepts a bid at a Qualifier does not participate in the JNC in the division in which it won the bid, that team, it’s coaches, it’s club director and all it’s club’s teams will be suspended from participation in all National Qualifying events for the following season. Teams in 18 Open may decline a bid as specified in the 2018 Qualifier Manual. Two rounds of pool play followed by single elimination play-offs for all teams except those in the Gold Championship Bracket. Those teams in the “Gold” will play a third round of pool play with the top teams advancing to a final single elimination bracket. All matches will be best 2/3. Awards will be given to the top three teams in the Gold Championship brackets as specified in the Qualifier Manual. The maximum number of teams accepted into any age level Open Division will be 48. Two rounds of pool play followed by single elimination play-offs for all teams. All matches will be best 2/3. Awards will be given to the top three teams in the Gold Championship brackets as specified in the Qualifier Manual. All USA/American/National Divisions will accept at most a maximum of 128 teams dependent on space available. In order to be accepted into the event, all teams which are not local teams, must use tournament approved hotels. Northern Lights has contracted with THS to manage reservations and approve all hotels being used for this event. This policy is called “Stay and Play“. In the event the number of entry applications in a division exceeds the space available, teams will be admitted into the tournament based on certain criteria after they have fulfilled the Stay and Play requirement. The Open and USA/American Divisions have the same entry selection criteria. Note: This is basically a 1st come 1st serve criteria. Once our capacity in a division is reached, that division will be closed. We will attempt to notify all teams of their acceptance status into a division within 48 business hours (excluding Holidays and Weekends) of the receipt of their completed entry form, entry fees, and verification that they have met the Stay and Play requirement (local teams are exempted). Please note that Date of Receipt is now one of the key determining factors for entry. The Date of Receipt which we use is the date/time stamp given to your entry if you pay online, or the date of receipt of your check if you pay via mail, or the date which you enter your teams data into TM2Sign.com or the date that you fulfill the Stay and Play requirement, whichever is LATER. After the deadline date, additional teams may be admitted to the event in any division if space is available. Also after the deadline date, the Qualifier Director has the discretion to allow teams who may have been denied access to the Open Division, to move to the USA or American Division based on space available. Teams in the USA or American Division may be offered the opportunity to move to the Open Division in order to round out the field to create a preferred bracket (i.e. pools of 4). Top seeds in each pool of the Open & USA/American/Club divisions may also be determined or verified by the national seeding committee. These times are subject to change until the final schedule is published, do not make travel plans based on these times. If a division is listed as “8:00 AM or 3:00 PM ” it means that teams in that division may start either in the morning or the afternoon. Please do not call and ask when a particular division or team will start, we do not know. Most matches usually finish by 4:00 the last day. If you wish to be assured of not missing a match we recommend that you do not schedule any departing flights prior to 7:00 pm the last day. Specific team/division schedules will be posted on the TM2Sign.com results website when they are done, most likely the Wednesday before the event. At that time a link to the schedules will be posted at the top of this page. This year bids in the Open Divisions will trickle down. This means that there might be additional playoff games in an Open Division that will run late on Sunday. If you forfeit that match you not only will forfeit a bid into JO’s, but you also will be in violation of the rules regarding intentional forfeits which could result in your club being banned from future USAV competition. (See the USAV Qualifier manual for further details.) We advise all Open teams not to schedule any flights home prior to 7:00 pm. The nature of volleyball tournaments makes it impossible to predict when the tournament will end. The Northern Lights Qualifier typically schedules the last matches to begin at 2:00 or 3:00pm on the last day of the event. However due to the high level of competition and the closeness in ability of teams playing each other, it should be noted that most every court will be “behind schedule” by that time of the day. It is not untypical for a court to be 60 minutes behind by that time. Most Gold Championship matches and 3rd place matches are expected to be scheduled for the 1 or 2pm time slots. All other bracket matches such as the Silver, Bronze, Flight 1, Flight 2 and so forth, may also have a 2 or 3pm final match. Or they may finish earlier in the day. It is not possible to tell which brackets will be played earlier or later in the day. This information will not be known until the schedule is completed approximately 7 days prior to the event. Teams which make flight arrangements earlier than 6pm are risking forfeiting matches. We recommend your flights should not be made earlier than 7pm. Teams which “have to leave early” are still responsible for their officiating assignments. They either must fill the officiating positions with acceptable replacements, or hire officials to do it. The 2019 Northern Lights 18’s Qualifier will be held in the Omaha CHI Health Convention Center . The 2019 Northern Lights Qualifier site for the April event will be the Minneapolis Convention Center. Our total Convention Center capacity for the two weekends exceeds last year’s requirements. Northern Lights is pleased to be the only Qualifier in the Nation that supplies warm up balls and ball carts on all courts for practice and competition. Teams should not bring any volleyballs to the tournament, security will not allow them inside the playing area. We have done this the last seven years and it has been a huge hit. No more forgetting the balls at home or in the gym! Please read our warm-up volleyball rules sheet and inform all players of the rules. Please take special note of the USAV warm up rules which prohibit warm up with volleyballs on unoccupied courts and in any aisles. The 11/12 & Under divisions will use “Lite” volleyballs, which are supplied for practice, warm-ups and competition. Warm up Volleyballs will NOT be supplied for the 18’s Qualifier in Omaha. Please be sure to bring your own volleyballs for warm ups. Spectator chairs are provided at all playing sites. No outside portable folding chairs are permitted at any site due to Fire Marshall restrictions. The Convention Centers have a No Cooler or outside food policy. They will not allow coolers, bags of food, etc, anywhere inside the building. This means you cannot bring coolers, bags of food, etc into any part of the building including the lobbies. This is a Convention Center Policy, not a Northern Lights Policy. Any questions or comments about this policy should be directed to the Convention Center staff. The entry fee will be $795 per team for all teams in all divisions except the 18 Elite Division (in April) which will have an entry fee of $600. For the January 18 Open, 18 USA, 18 American event the entry deadline is Monday December 11, 2018 3:00 PM Central time. For the April event with all of the other divisions the entry deadline is Thursday March 8, 2019 3:00 PM Central time. Entries/fees received after that date/time will be considered on a space available basis only. Please be advised that some divisions may fill before the deadline. If you submit your entry fee via the online payment method on TM2Sign.com, there is no need for you to mail any entry forms to us. The date of entry will be recorded as the time your payment is made online. If you are paying by a check, which you are mailing to us, you must send your Application for Entry form which is printed from the TM2Sign.com website. If you are paying by check, please submit only one check per club (not one per team.) The date of entry for mailed checks will be recorded as the date your payment is received in our office. Teams which are non local teams are required to use tournament approved hotels and will need to have made reservations at one of those hotels before they will be accepted into the tournament. Before a team can book hotel rooms, they must be registered for the tournament and have paid the entry fee. You may click here to view information about the tournament approved hotels. If a team is denied entry into because the field is filled, the team may elect to cancel its application and receive a full refund of its entry fee, OR the team may elect to go on a waiting list. If a team which is not on a wait list decides to drop out for any reason after making payment the team will forfeit the entire entry fee regardless whether the drop happens before or after the official entry deadline date and regardless of your hotel status with THS. This includes all drops that may pertain to acts or threats of war, acts or threats of terrorism, or a health risk alert. A team on a waiting list may drop out and obtain a full refund of its entry fee as long as we have not yet accepted the team into the tournament from the waiting list. To qualify for this, a team on a waiting list must have notified us in writing of their desire to drop before they receive notification of being accepted from the waiting list. To get on the wait list the division that the team is trying to enter must be full, the team has paid, and the team has met the Stay & Play housing requirements. A team that has entered and paid but not met the Stay & Play housing requirements is not on a wait list and is not eligible for a refund if they drop. A team that previously had met the Stay & Play housing requirements and was accepted, but then fell out of compliance with the Stay & Play housing requirements and was removed from the event will not be eligible for any refund even if they subsequently met the Stay & Play housing requirements but were not reaccepted due to the event being full at that time. In general, any attempt to bypass or use the Stay & Play housing requirements and/or waitlist to obtain a refund will be not be honored. If the tournament is canceled or interrupted due to weather, acts or threats of war, acts or threats of terrorism, or a health risk alert, event entry refunds will be made to individuals or teams on a prorated basis once all of Northern Lights out-of-pocket expenditures for the canceled or interrupted event have been settled from such fee. Entry fees are non-transferable to another team, even from the same club. Some divisions may fill before the deadline. Create a login & password if you are a first time user. Once you have logged in, follow the on line video tutorials to create your teams and add staff/players. Enter your team(s) into the tournament. After you enter your team into the event you may either pay online, or pay via mail with a check. After your team has entered and paid, you are eligible to make hotel reservations.If you are going to pay via mail with a check, you must print out a copy of the entry form and mail it to us along with your check. This form must be mailed to arrive in our office within 7 days of your web registration, but no later than the entry deadline. A check for the entire entry fee must accompany this form. Please send one check per club (not per team), and make the check payable to Northern Lights Jr Volleyball. Our address is 14050 Judicial Road, Burnsville MN 55337.If you are paying online, there is no need for you to mail anything to us. Simply click the Pay Online button and follow the instructions. Full team rosters are required for participation in the Mizuno Northern Lights Qualifier. You will be required to enter and validate your roster prior to being able to print out your Check In Form. USAV Numbers and Coaches’ Certifications are required. USAV is also requiring that all coaches who are participating in the tournament be Safe Sport Certified. To create or update your roster, log into TM2Sign.com, click on teams, click on your team, click on “Roster”, and follow the instructions for creating a template roster. After building your template roster, click on “Event Rosters” and then click the “Submit Roster” link next to “2019 Mizuno Northern Lights Qualifier (April 19-28)”, this will create your event roster by copying your template roster into that event. You do not need to enter any AAU numbers. If your roster contains a column for AAU ID and it shows as “Empty”, this is ok.
All coaches must be at least impact certified. Any coach/team rep/club director who sits on the bench must be USAV registered & Safe Sport Certified by their own Region. Please check your rosters now . . . it only takes a few seconds to do. You will have to complete this task before you can check-in your team. All persons attending this event, participants or spectators are subject to the Terms & Agreement found by clicking here. For this year’s event admission is required for all spectators over the age of 6. You may purchase either a tournament weekend pass, or single day tickets. Tickets may be purchased in the lobby of the Omaha Century Link Center at the event. There are no on-line/advance ticket sales for the January 18’s Qualifier in Omaha. Ticket purchases at the event: You may purchase a daily ticket or a weekend pass at the Omaha Century Link Convention Center. Payment forms which will be accepted are cash or credit card. No checks will be accepted. Coaches & Players: At team check in each team will be given wristbands for rostered players. Unique rostered coaching staff, up to a maximum of 3 per team, will be given wristbands.Players will need to wear/show their wristbands to gain entrance to the court area. Coaches and all other spectators are required to wear their wristbands at all times in the court area to prevent the roving security from questioning them. All coaches listed on a team’s roster must have successfully passed the USAV Impact Clinic or the CAP Level 1 course AND be SafeSport Certified. This must appear on your TM2Sign.com roster will be verified by the USAV Webpoint System. There are no Impact or SafeSport clinics offered at this qualifier. Awards will be given to the Gold Division 1st, 2nd & 3rd place teams. The entire team must report to the awards area to pickup the awards and have a team picture taken. Teams not complying with this will not be given their awards. No awards are given to any Silver, Bronze, or Flight Division winners. For the January 18’s event (18 Open, 18 USA, & 18 American) check in will only be from 4:00pm – 9:00pm on Thursday evening January 10. Check in will be located at the Championship Desk in the lobby of the Omaha Century Link Center. See our Check – In page for more info. This year we are pleased to announce that you may check your team in electronically either from your home/office/mobile device, or at the Convention Center on Thursday evening before the tournament. All teams must complete their check-In AND pick up their teams wristbands by no later than 9:00 pm on Thursday evening before the tournament. There is no check in on Friday morning. There is no picking up of wristbands on Friday morning. Please plan your travel such that the person responsible for checking in your team arrives on Thursday at the Minnepolis Convention Center before 9:00pm. Check in will be located at the Championship Desk of the Convention Center. Our team has not yet been formed, can I enter the tournament without submitting the players names? Yes, however you must have entered all players into TM2Sign.com by the time you arrive at checkin. We know we are coming to the tournament and we want to get hotels ASAP, can we reserve hotels and then enter the tournament? No, you must have entered the touranment and paid the entry fee before you can reserve hotel rooms. This is the result of past people reserving prime rooms and then not attending the event. Can I enter the tournament without using the website registration process? No, all entries must be done using TM2Sign.com. Can I import my staff and player data to the website? Yes. Instructions t are found on the TM2Sign.com website. What is the information I entered being used for? The information you enter is being used for general administration of the tournament. When must I send my entry fee to you? Is there a Tryout for the USA High Performance Program? Yes, tryouts will be held at the Minneapolis Convention Center on Thursday April 18th and April 25th from 4pm to 8:00pm. All questions concerning the tryout should be directed to the USAV National office or check the USA High Performance Program website. Is there a “Dig Pink” day? Teams are always welcome to wear pink on Saturday of the Northern Lights Qualifier to show support for Breast Cancer Awareness. For 2019, these dates are April 20 and April 27. The Northern Lights National Qualifier is a private event. Absolutely NO outside commercial photographers or professional videography is permitted at any time. No artificial noise makers are permitted at the event. This includes the use of “boom boxes” or speakers projecting music during team warm ups or competition. Warning: Risk of injury from flying objects incidental to the sport of volleyball may occur at this event. Attend at your own risk. Please pay close attention to your surroundings and be on alert at all times, especially during active play. CaptainU will help all attending athletes maximize their exposure at the upcoming event to college coaches. Since CaptainU was founded in 2008, over 2 million high school athletes have used their platform to promote themselves to college programs. Currently, over 3,000 athletes commit to colleges each month using CaptainU. Their networking platform provides players and parents a tool to manage the college recruiting process and maximize their exposure to college coaches at the upcoming tournament. All college coaches (all events/dates) should click on this link.